The World Leader in Ammunition Sealant Technology! Ammunition is not traditionally sealed against water and the ammunition casing is not sufficient protection in inclement weather or marine environments. Hernon Manufacturing has developed patented systems for sealing ammunition against water and other contaminants. Our sealants ensure reliable ammunition performance including improved ballistic precision and allow the user to move freely through and below water environments confident that their ammunition will not be compromised. 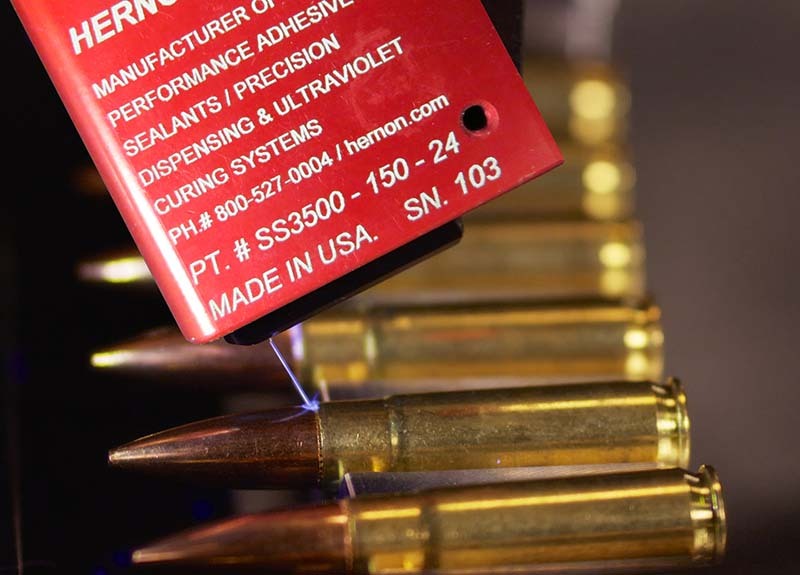 Hernon ammunition sealant technology includes next generation, solvent-free ammunition sealants that can augment crimping, high efficiency UV LED curing lights and precision dispensing systems for small and large scale manufacturing environments. Committed to delivering solutions for adhesive and sealants, dispensing and curing. 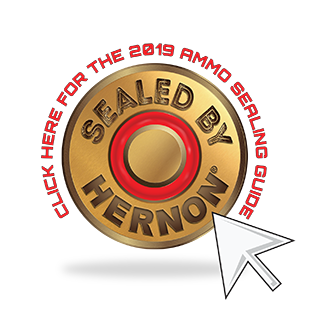 Click here to see our 2019 Ammunition Sealing Guide! Hernon Manufacturing® is business to business manufacturer and supplier of advanced adhesives and sealants as well as the associated dispensing and curing systems. In addition to ammunition sealant technology, Hernon® products are used in dozens of other industries including: Energy/Power Generation, Medical, Electronics, Electrical, UV LED, Automotive, Appliances, Sporting Goods, Ammunition, Communications, Aerospace, Aviation, Audio, Defense, Fire Suppression, Transportation, Marine and more. Hernon’s headquarters is in Sanford (Orlando), Florida, USA and Hernon products are sold to manufacturers in over 57 countries from hundreds of distributor locations including 6 regional offices around the globe. In addition to perfecting the application of solvent-less sealants for ammunition, Hernon Manufacturing® recently announced the development of next generation ammunition sealants which can augment and homogenize crimping pressures in addition to sealing against water and other contaminants. Due to low viscosity and wicking properties, these next-gen external ammunition sealants are distributed evenly around the cartridge case mouth and base of the projectile. This even distribution results in uniform bullet pull strength and a more stable release and flight pattern for the bullet ultimately producing improved shot group precision. * Hernon® sends regular updates and news to keep customers informed with the latest products and policies. By submitting this form you are also opting-in to Hernon’s email program. To opt-out please include the phrase “opt out” in your submission or you can opt out at any time by clicking the unsubscribe button at the bottom of any Hernon® email blast. All Rights Reserved © 2015 HERNON® Manufacturing, INC.